There’s a lot to be said for what Motorola has done in the Android phone market over the past couple of years. The original Droid was, arguably, the first Android phone to capture the attention of “normals” and its name has become as interchangeable with Android as Jell-O is with gelatin or Kleenex is with tissues. The successor to the OG Droid, the Droid X, was my favorite phone for a very long time. It wasn’t until later software updates caused the 3G hotspot to become as unstable as a political candidate’s history that I finally relented and started looking for something new. Fortunately, around that time, the Nexus S came around and was the answer for which I had been looking. Well, eventually it was. My first impression of the Nexus S was terrible, but that was mainly due to T-Mobile’s non-existent network where I live. Fast forward a year or so and Moto hasn’t been doing so hot in the mobile market. With somewhat-yawnworthy refreshes to its Droid and Droid X devices, there’s been nothing that has really hit the ball out of the park, and that’s what Moto is hoping to do by bringing back the RAZR name with the Droid RAZR. For those who might not remember, the Razr was a flip phone, making its debut in 2004 and it eventually sold over 130 million units over a 4-year lifespan. Suffice it to say, the Razr was a huge hit for Motorola. That said, bringing back the name with an ultra-thin Android-based phone has all the makings of something to behold. But is it? Well, read on to find out. In your hand, the Razr is almost impossibly light. A combination of stainless steel and kevlar work together to keep a stiffness to the device, which is welcome. It’s incredibly thin, save for the now-familiar “bump” for the camera housing, but even that section of the Razr is thinner than a lot of phones on the market today. The phone itself is huge, feeling a bit more like a 4.5-inch display than the 4.3 that it actually carries. That’s due in part to a large border that is placed around the display itself. If I had to venture a guess, this is likely a matter of form following function, where the phone ended up being wider than the screen because of the necessity to keep it thin. As such, for my hands, it’s uncomfortable. Your milage, of course, may vary. With a 1.2 GHz OMAP 4430 processor and 1 GB of RAM, you can expect the Razr to be fast. You won’t be wholly disappointed. Since it’s an LTE phone, of course data speeds are going to be the fastest that you’ll find on the market right now. I commonly found downstream speeds to be around 13 Mbps and upstream around 5 Mbps. 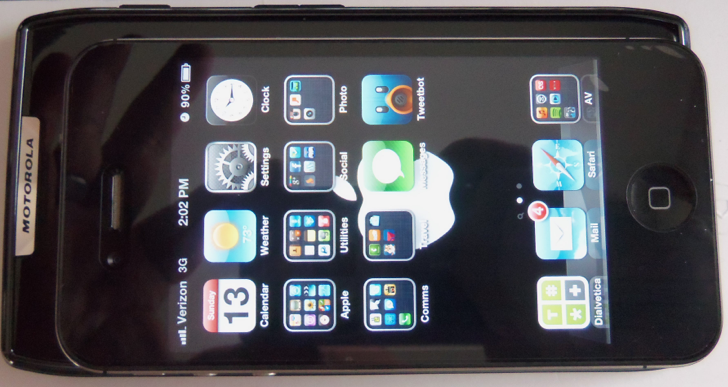 But that’s not much to do with the phone itself, as much as it is the technology that it encases. 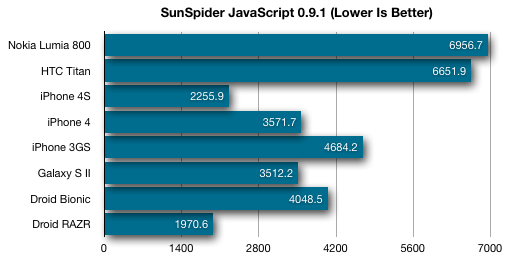 The Samsung Galaxy S II scores 66.3 FPS in GLBenchmark, and even the already-aging Droid Bionic managed to push 39 FPS. For the Razr to only hit 41 is, again, probably a testament to Motorola opting for smaller-sized hardware inside the phone in order to meet the form factor. As such, as games and other apps become more graphically intensive, the Razr is going to hit a GPU bottleneck far earlier than you might like. Let’s talk optics and cameras and that display, oh my! First off, it’s worth noting that the display on the Razr is…in a word, mediocre. It’s a 4.3-inch qHD Super AMOLED at a 960×520 resolution. By way of comparison, the upcoming Galaxy Nexus will be a 720p HD Super AMOLED, a point that means buyer beware when it comes to buying the Razr right now. 256dpi density for the pixels means that you’ll see jaggies on text and straight lines, and scrolling around gives you that not-so-lovely “why is this looking like a low-res webcam” feel. It’s somewhat incomprehensible to me why Moto chose to go with this display versus the qHD variant that was used in the Bionic, as the Bionic had a beautiful picture. Oh, and you can bet on a constant self-questioning of “is my screen turning green?” There’s an ever-present green hue to my device, as has been noted in detail by our friends over at The Verge. Photo quality is good, but not great. Anything other than outdoor situations tend to confuse the heck out of the sensors in the Razr. Not only is focus slow, but color saturation is a far cry from where it is meant to be. 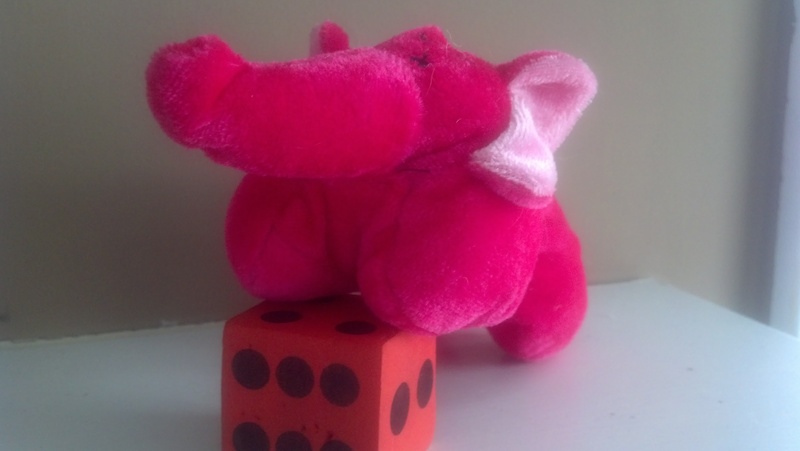 By way of example, the stuffed elephant here is a very bright pink, and the foam dice is quite a deep shade of red. 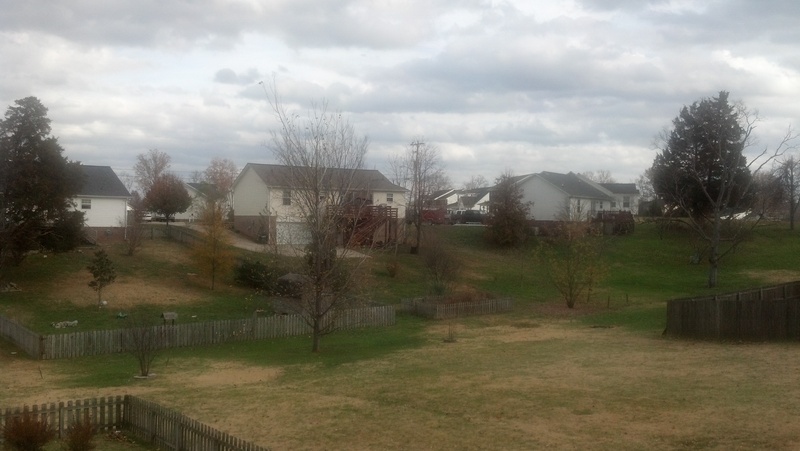 By way of comparison, the first shot is from the Razr, while the second is from my iPhone 4 (not 4S, mind you). Outdoor photos are acceptable, but far from the best that we’ve seen. The camera is still slow to focus, and white balance isn’t what I’d expect to see from a phone that is retailing for $300 on contract. Further, even when the camera says that it’s in focus, photos have a tendency to come out with that soft-focus thing that you’re more likely to see in a Glamor Shots photo session than from a shot you’re hoping to get from your phone, as evidenced by the “in focus” shot below. One area where I was impressed, however, is the Razr’s ability to do decent quality macro shots, even if the depth of field is a bit inflated. Video quality is on par with the still picture quality. That is to say that it’s good, but not great. 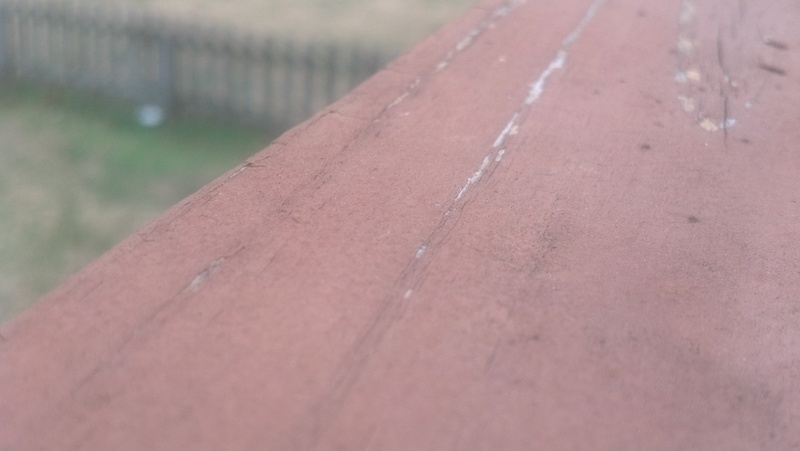 Focus tends to have problems with anything that’s moving, but this is a problem that’s common among almost all mobile phone cameras, save for the class-leading camera in the iPhone 4S. The verdict? Don’t buy this phone for the screen or the camera. Here’s where things get a bit sticky. First off, Motorola isn’t calling its overlay of Android MotoBlur anymore. But never you fear, it’s still there, sticking out like a sore thumb. While the animations are fun at first, the lag that they cause gets annoying very quickly. The typical widgets are still around too, and while you can delete them, it’s frustrating to have to do so on a brand new phone. In short, the overlay left me longing for stock Android, and that’s only going to happen if you buy a Nexus or load it up yourself. MotoCast is another annoyance. Yes, it lets you stream media from your computer to your phone, but it does so at the expense of heavy data use. Is it useful in the real world? Maybe if you have a high enough data package. But as I’ve stated in the past to anyone who would listen, having the speed of LTE means that you can blow through your data allowance really fast. So if you want to use MotoCast, do so with caution. 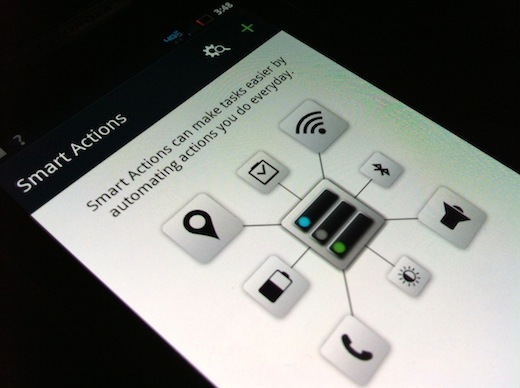 The standout feature from the Razr is a thing called Smart Actions. It’s a bit IFTTT right on your phone, and it’s incredibly handy. By allowing you to set up commands that are followed under certain circumstances, you could (for instance) tell your phone to shut off WiFi, Bluetooth and GPS if the battery falls below a certain percentage. There are apps already on the Android Market that can do some of the same, but Smart Actions being included for free is nice. The obvious problem with buying anything other than a Nexus handset is that you’re not going to be the first on the list to get the latest version of Android. That rings true here, as well. The Razr is not slated to get 4.0 (Ice Cream Sandwich) anytime soon, and that’s a blow when you consider that the Galaxy Nexus (the latest “pure Android” device) is set to launch at the end of this month, complete with ICS. That’s the ultimate question, isn’t it? 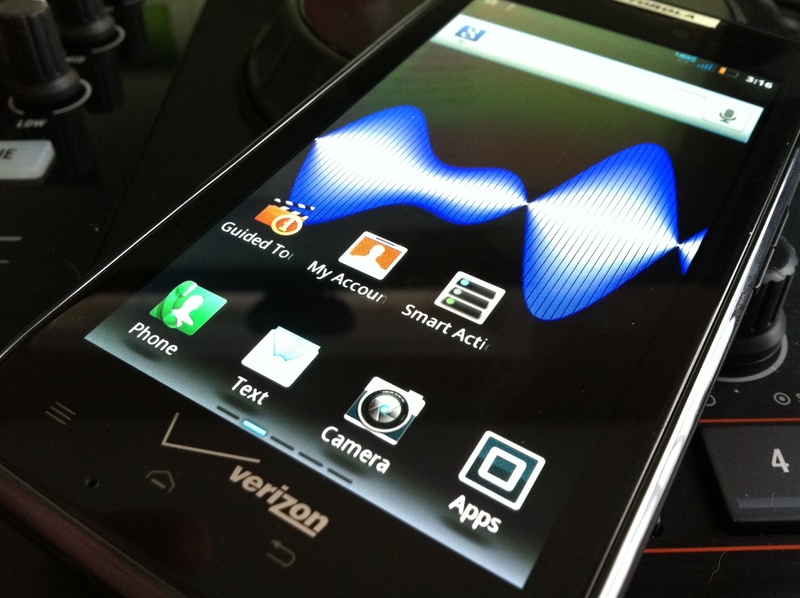 The problem with the Droid Razr is not that it’s not a good phone. It is, in fact, a very nice device (save for the display and camera). It’s solidly built, feels great in the hand and the battery life is admirable (a 1780 mAh battery will give you nearly all-day performance, as long as you’re not a heavy LTE user). But is that good enough? Unfortunately, right now, it’s not. But it’s all a matter of timing. Had the Droid Razr come out prior to the announcement of the Galaxy Nexus landing on Verizon at the end of this month, it would likely have been a hot seller. 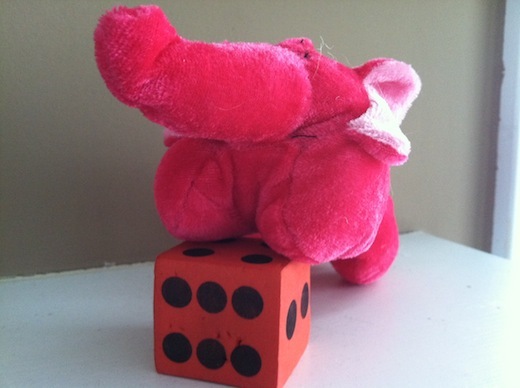 To a certain audience, who cares more about form than function, it likely still will be. 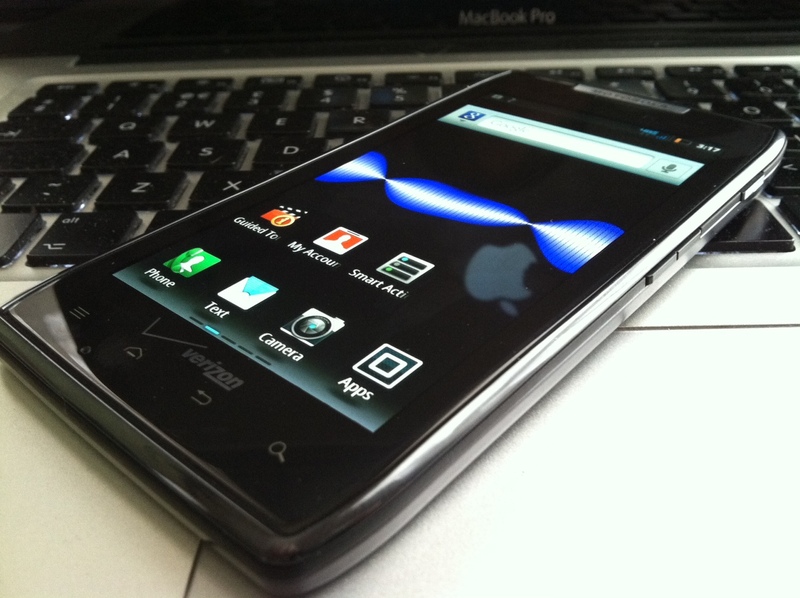 But for someone who’s reading TNW, I can’t recommend the Razr. It’s one of those cases where you have to look at near-immediate buyer’s remorse because there’s a phone coming onto the market that has everything that the Razr should have had, but didn’t. 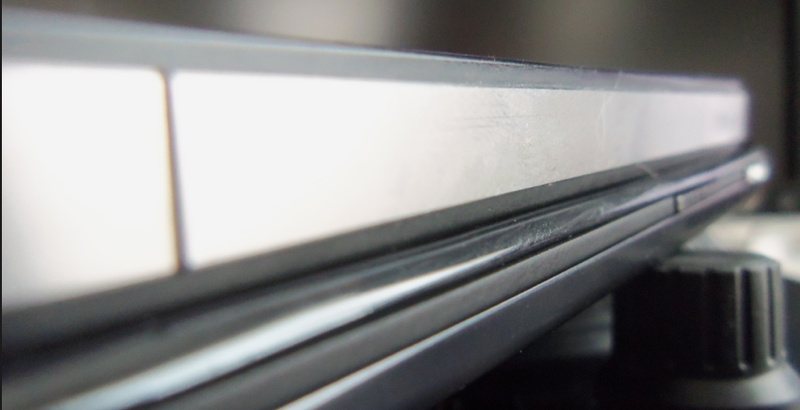 If you’re determined to have a super-thin device, the Razr is probably going to be leading the pack for some time. But do yourself a favor – wait until Verizon comes off the price a bit. If you don’t want to wait that long, the Galaxy Nexus should be available in a couple of weeks, and that’s not a hard wait to make for a phone that so handily beats the rest of the Android handsets on the market right now. Missed our hands-on with the Galaxy Nexus? Here’s a gallery full of huge smartphone love, just for you.